Hear it all in perfect CD-quality sound – although I’m sure the video is the source for this bootleg, the quality is much purer than the video, esp. the guitar and bass. I recommend synching the CD with the video! Brilliant, from start to finish. Considered one of the best Roses live performances. Best performances are Waterfall and Resurrection, which lasts for 12 minutes! Brown’s voice sounds weak on some songs (She Bangs, Mersey Paradise), but he is not too bad by his standards. Reni and Squire are on top form. 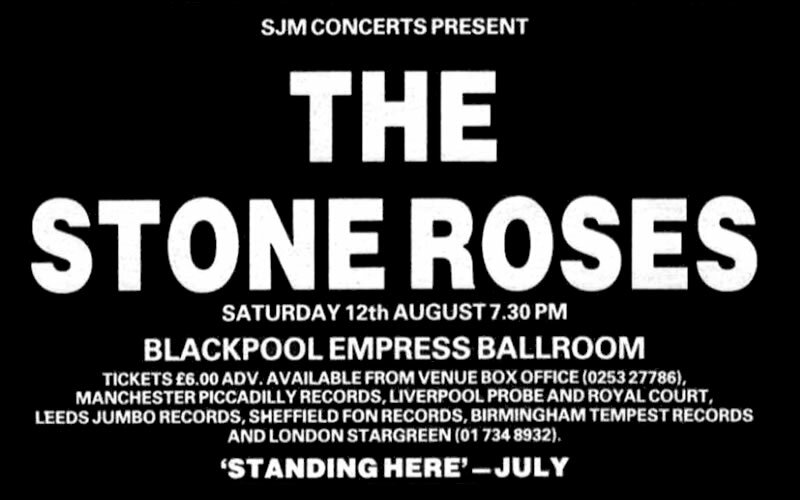 This gig was a defining moment in Roses history, but was also a great performance. 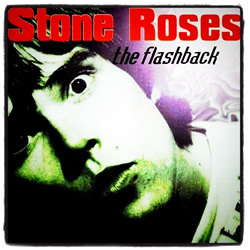 The first massive gig the Roses ever played, and some would say their best. 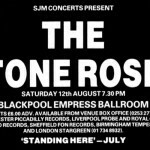 4,000 people packed into the Empress Ballroom, which was usually used for press conferences and trade fairs, and danced the night away, after the band’s crew had kicked open the doors, prompting a massive rush in. The crowd got seriously overheated, and John, Mani and Reni threw ice pops into the crowd when they came on stage. During the day, Blackpool was flooded with people wearing flares and Reni hats, enjoying a day out, which they continued in the Ballroom, bringing beachballs in to chuck around. Ian later on said that Blackpool was the moment he knew the band had made it. I worked the bar that night. Jees that was hard work but I could see the stage pouring pints(inside the bar was/is a bit higher than the floor, the bar is at the back and I’m tallish, plus the stage. We wer eating ice, holding it on our necks. Also did the after party, there was supposed to be two of us but my mate retired hurt (heat, alcohol, drugs?). Met some great people, had a great time but strewth it was hard work.